Today’s unanimous Supreme Court decision in PPL Montana v. Montana rejected Montana’s claim to title to miles of Missouri River riverbed that had been converted to hydropower reservoirs, finding that the navigability test for state title to underwater lands must be applied segment by segment, and not to the navigability of the river as a whole. Under the “equal footing doctrine,” States take title to public trust resources upon their admission to the Union on the same basis as the original 13 states. 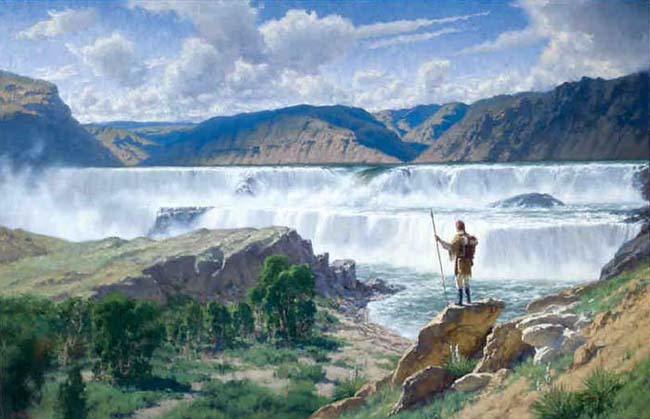 Thus, the Court reasoned, reservoirs built on stretches of river rapids impassible to vessels in commercial use at the time of Montana’s admission to the Union were not subject to prior title of the State. In rejecting Montana’s argument that the Supreme Court’s approach would unduly limit the scope of State public trust interests in navigation easements and access to waterways for fishing and navigation, the Court seems to have added a new fork to the river of public trust doctrine. It reasoned that “equal footing” title to riverbeds, on the one hand, and public trust guarantees of public access and freedom of navigation, on the other, were completely separate inquiries — the first being an aspect of federal constitutional law of federalism, and the latter being merely a matter of state common law completely unrelated to the question of public trust resources assumed by the state at the time of admission. While equal footing cases have noted that the State takes title to the navigable waters and their beds in trust for the public, see Shively, 152 U. S., at 49, 15–17, 24, 46, the contours of that public trust do not depend upon the Constitution. Under accepted principles of federalism, the States retain residual power to determine the scope of the public trust over waters within their borders, while federal law determines riverbed title under the equal-footing doctrine. Indeed, it would be far more upsetting to settled expectations to reverse on the ground that the scope of the public trust is limited to lands beneath navigable tidal waters, since many lands titles, interests, and rights have been created on the basis of the ebb-and-flow rule. The fact that petitioners have long been the record titleholders, or paid taxes on the lands in question, cannot divest the State of its ownership, since the State Supreme Court held that, under Mississippi law, the State’s ownership could not be lost via adverse possession, laches, or any other equitable doctrine. There is no reason here to set aside the general principle ceding the development. In today’s decision, contrary to Phillips Petroleum, the Court seems to be saying that 1) State title to lands under water under the Equal Footing doctrine depends on the navigability in fact of each stream segment at the time of admission to the Union, and 2) this holding will not affect the scope of waters subject to navigation easements, access rights, and development restrictions under public trust principles because public trust rights are a matter of state common law completely independent from the “equal footing” doctrine of state title to waters. In rejecting this point, Justice Kennedy and the Court seemingly misconstrue the parameters of the public trust doctrine and disregard its longstanding legal nexus to sovereign ownership of the beds of state waterways. Of course, there are quite a few of us legal scholars that disagree with the Court’s characterization of public trust law as purely a matter of State common law — it simply does not explain all of the public trust decisions limiting the scope of state legislative action. But when a unanimous Supreme Court disagrees with a plethora of environmental law professors, who is to say which group is misconstruing the law? thanks karl. and of course the court’s decision will only further complicate matters with the advent of climate change and anticipated changes to flow/quantity. we’ve recently been involved in some high end climate modeling to show mine site reclamation will be very different in 50 and 100 years, and so too will be trust rights/obligations.